K&N Performance Gold Oil Filters were originally developed for demanding auto race applications, our premium automotive oil filter is rapidly becoming a favorite among consumers for its durability and easy removal. 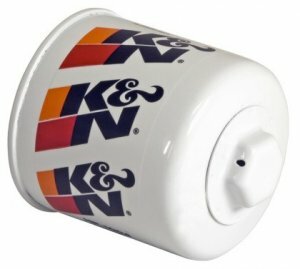 Each K&N Performance Gold Oil Filter comes with a 1? nut welded to the top of the canister so they can be easily wrenched-off with a standard tool.